Today the Belgaum District Small Scale Industries Association called a machine shop owners meeting to discuss and finalize the long pending issue of turning & boring rates. In the last Joint meeting between machine shop owners & Scrap dealers which was held at chamber’s hall on the issue of scrap Rates. As promised by BDSSIA in the last meeting with the long discussion of the scrap dealers the rates were fixed for turning of Rs. 15.00 per kg & boring Rs. 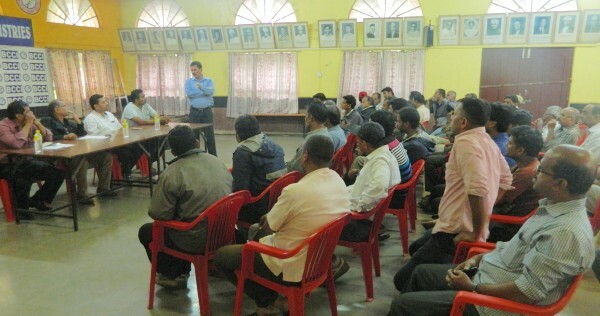 19.50 per kg & the same rates were declared in this meeting held with machine shop owners. All the machine shop owners were happy and satisfied by given rate by the BDSSIA & unanimously they agreed to sale for given Rate by the BDSSIA.